Nov 3 – A child’s red 4 wheeler was reported missing from a porch on Brewton St.
A caller on Bowen Rd reported that he witnessed his neighbor throw two pit bulls together to fight. A caller at DeLoach Mobile Home Park stated that one of the tenants was drunk and threatening him with bodily harm. Nov 4 – A caller on Hwy 301 S reported that someone took car rims from under her carport. Nov 6 – A caller in Tradewinds Way reported that her neighbor, who is a convicted felon, is shooting stray dogs and dragging them behind her house. A caller on DeLoach Mill Rd reported that she went to her ex-boyfriend’s residence to get her belongings and he pulled a gun on her. Nov 7 – A caller on Why 280 W reported that someone was looking in her window. The suspect was wearing black cholthing and a hoody. Nov 8 – A caller on Tellie Akins Rd reported that he was hit in the mouth outside his girlfriend’s parent’s home and his tooth had pieces falling off of it. Nov 9 – A caller on Why 129 N reported that his mom stole his money from him and put him out, but would not give him his clothes. Nov 3 – Charles Henry Smith, 72, Lovette Trailer Park, Claxton, charged with disorderly conduct. Nov 4 – Steven Slusher, 55, 125 Croft Rd., Claxton, charged with open container and DUI of alcohol. Markall Redell Battle, 28, 72 Moody Lane, Claxton, charged with seat belt violation (0ver 18), obstruction of officers, DUI of alcohol, and DUI child endangerment. Shanell Nicole Green, 26, 53 Corey Dr., Claxton, charged with DUI – refusal, driving without a license on person, and set belt violation (Under 18). John Andrew Palmer, 47, 910 Turnpike Rd., Lot 14, Hagan charged with disorderly conduct and exploitation/intimidation of a disabled/elder adult. Nov 6 – Lourie S. Mobley, 24, 11701 Hwy 129, Claxton, charged with obstruction of officers and probation violation. Bennie Mills, 27, 207 Claxton Inn, Claxton, being held for another department. Nov 7 – JaJa Williams, 22, 304 Mt. Pleasant Rd., Claxton, charged with parole violation. Williams James Griner, 42, 1365 Mittie Strickland Rd., Claxton, being held for DOC. Nov 8 – Tony Christopher Brown, 52, 305 Oak St., Claxton, charged with expired tag, DUI of alcohol, driving without a license, and possession of drug related objects. Steven Ray Bradshaw, 23, Why 280, Hagan, charged with driving without a license. As of Friday, all jury duty is cancelled. Jurors are not to report. Oct 28 – A caller stated that someone stole his company’s backpack blower from the back of his work truck. The truck was parked at the Claxton Inn. A caller on Hwy 129 N reported that a woman pulled in her yard advising that a snake was in her car. Oct 29 – A caller on Hillside Lane reported that her ex-husband was calling her phone and telling her that people were watching her everywhere she went. A caller on Windmere reported that the aunt they had left their child with for a month will not return the child. Oct 27 – Roberto Omar Martinez, 47, 11831 Hwy 301 N Claxton, charged with driving without a license, defective equipment, and giving false information to officers. Oct 28 – Jason Ellerbe, 27, 1432 Edgar Hodges Rd., Claxton, charged with obstruction of officers, possession of cocaine, and probation violation. Oct 30 – Devon Stanley, 35, 802 Broad St. Claxton, charged with counts of probation violation. Oct 31 – John Andrew Palmer, 47, 910 N. Turnpike, Lot 14, Hagan, charged with simple battery (fight). Nov 1 – Charles Tuck Woodcock, 32, 650 Eli Kennedy Rd., Collins charged with unlawful possession of a firearm/weapon, and two counts of misdemeanor traffic citations. Oct 23 – A caller on Hwy 129 N reported hearing someone messing with their door knob for the past two nights. A caller on Why 280 reported that her daughter saw the outline of someone standing at the back door. Oct 24 – A caller in Canoochee Property reported that someone struck her multiple times in the head and once in the face, while accidentally hitting her small son in the head. He threw her phone in the yard and refused to let her leave. He said he would hit her where there would be no marks and she could go to the police. He said he would just pay them $200 and wouldn’t go to jail. The female went to the hospital to have herself and the child checked out. A caller on Circle Dr. reported that her 11 year old son went to bed at 9:30. When they went to wake the kids up for school, the window to the bedroom was up and he was gone with his bookbag. They called back and had found him, but he would not tell them where he had been. Oct 25 – A caller on Hwy 301 N reported that her boyfriend put her bedroom set in the ditch by the trailer where she used to live with him. He advised he would put a cover on it. Oct 26 – A caller on Carson Sands Rd reported someone hunting without a license and without permission. A caller on Cedar Creek Rd reported that his daughter borrowed his truck last night around 8 PM and said she would be back in a couple of hours. Her cell phone has been turned off and he has not heard from her. Oct 21 – Wendell Tyrone Foxworth, 36, POB 12 Pembroke, charged with suspended/revoked license. James Anthony Hagan, 44, 1977 Old Savh Why, Claxton, charged with probation violation. William Eric Wilz, 25, 1616 Riverside Dr. Claxton, charged with speeding and possession of marijuana. Oct 24 – Nicole Margeret Hinojosa, 42, 12246 Hwy, 301 N. Claxton, charged with obstruction of officers. Shane Daniel Turner, 36 8897 Sunbury Rd. Claxton, charged with open container violation, DUI of alchohol and susp/revoked license (second offense). Oct 25 – Franciso Rodriquez, 44, 102 S River St. Claxton charged with failure to maintain lane, driving without license and DUI of alcohol. Oct 26 – Russell David Long, 34, 102 New Dr. Claxton, charged with susp/revoked license. Oct 13 – A caller on Hwy 301 S reported a prowler in her yard. A caller on Hillside Lane reported her son was fighting with her. A caller on Furman St. reported that she heard someone on top of her house. Deputies had found that someone had thrown paper towels all over her yard. Roberto Vaquero, 37, 635 Industrial Park, Claxton, to serve 14 days. Oct 17 – Jamell Eljoiewon Hunt ,23, 302 Laeview Dr., Glennville, charged with driving without a license and speeding. Daniel Berckley Blocker, 41, 4471 W Hwy 129 S Claxton, charged with DUI of drugs. Michael Leon Thomas, 57, 15 Bonaventure Rd., Thunderbolt, charge with DUI of drugs and stop sign violation. Oct 18 – Andy Lee Tootle, 42, 1027 Greater Zachariah Church, Glennville, charged with DUI by refusal, seat belt violation (over 18) escapee, jail/prison, laying drags, misdemeanor traffic citation. Oct 19 – Claude Aleck Edenfield, 60 519 S. Railroad St. Hagan charged with DUI of drugs, failure to maintain lane and open container violation. Shauntavious Lamar Whitfield, 37, 1240 Hwy 129 N., Claxton, charged with DUI of alcohol and turn signal violation. Devon Stanley, 35, 802 Broad St., Claxton, charged with battery. Halloween is upon us and trick or treating will be observed on October 30, 2015 from 6-8 PM. Festivities downtown Claxton will be in full force and many churches in the area will be having festivals that evening and other nights during the month. Safety is always our number one concern during this season and by observing just a few simple tips, you can help us make this halloween a safe and happy one. Costumes need to be “visible”. While a zombie wearing a blinking light might not be very sneaky, he will be seen by the traffic and avoid being hit. If a costume is too dark, add some reflective tape or glo-sticks. Groups are best. The lone ranger even had a companion. Walking alone during trick or treat isn’t very safe so bring a friend or two and make sure everyone sticks together. There is some security in numbers. Phones alone. Believe it or not, walking while looking at a mobile device is dangerous. A road or lawn hazard, a hole or even a car can be avoided if the phones stay in the pocket. Lights on only. When homes do not have any front lights shining, expect that the person or people are not accepting trick or treaters. Respecting this is a good rule. Another point, if you ring the bell and no one comes, just move to the next house. Continually ringing a bell could be disturbing someone who is ill or immobile. Stay on the main way. In other words, don’t cut through yards or back allies. Doing so can put you at risk of being considered a burglar or menace… stay on the main roads with the other groups. In the country, keep it bright. Keep a flashlight with you at all times and if possible, drive instead of walk. Check the booty. Be sure an adult looks over the treats. Any open items or sliced fruit etc must be avoided and discarded. Anything that looks suspicious, just toss it, don’t eat it. Report it. If you see something that is out of the ordinary, call the sheriff’s office or police department. If it is an emergency, call 911 immediately. Working together, this halloween will only have scary characters, not consequences. Oct 6 – A caller on John L. DeLoach R reported his MTD yard machine push mower missing. Oct 7 – A caller on Brewton Collins Rd reported duct work missing and insulation damaged under their mobile home. Oct 8 – A caller on Brewton Collins Rd. reported someone under this house causing problems for him and his girlfriend. He needs someone to come and get them from under the house. A caller on Brewton Collins Rd. reported that his mother said there were midgets under his house. A subject was advised that he rec’d a call that his granddaughter was on the back of truck drunk. Oct 9 – A caller on Kennedy Bridge Rd. reported his 12 ft. trailer missing. Oct 10 – A caller on Robbins St. reported that his fish were stolen out of his cooler. He had left them on the steps and went inside and came back out and they were gone. Oct 12 – A caller reported that her father was cremated and requested that his ashes be spread on Tybee Island. His sister asked if the ashes could spend the weekend with her so that she could spend time with him. When the daughter went to get the ashes, the sister refused. After speaking with a deputy, the ashes will be returned. Oct 6 – Daryl Eugene Williams, 36, 105 Livingston Dr. Claxton, charged with theft by taking. Oct 8 – Samantha Paige Watts, 18, 130 N Lanier Dr. Statesboro, charged with drinking under age/sale to minor and fleeing or attempting to elude. Christopher Gravley, 19, 1825 Old Reidsville Collins Rd., Claxton, charged with two counts drinking under age/sale to minor. Daman Glenn Scharff, 43, 15385 Hwy. 67, Statesboro, charged with speeding. Luis Armando Diaz, 30, 200 Possum Trail, Guyton, charged with pubic drunk. Darren Junior Driggers, 22, 230 Candle Berry Way, Guyton, charged with affray. Caleb James Ray, 18 67 Kevins Ln, Hinesville, charged with public drunk and drinking under age/sale to minor. Kelsey Brooke Robinson, 19, 230 Varsity Cir., Statesboro, charged with drinking under age/sale to minor, giving false information to offices. Oct 9 – David Alan Jenkins, Jr., 25, 1639 Bullock Trail, Loganville, charged with failure to maintain lane and DUI of alcohol. Balynda Storm Hartmeyer, 53, 309 Hw. Harmon Rd., Swainsboro, charged with DUI of alcohol. Kristen lee Oddi, 24, 503 Cancun Ct., Statesboro, charged with DUI of alcohol. Jessie Dakota Flake, 19, 535 Hwy. 88, Keysville, charged with DUI of alcohol and speeding. Tyler Jordan McIntosh, 19, 806 Legare Rd., SW, Aiken, SC, charged with DUI of alcohol and turn signal violation. Thomas Edwin Jahnke, 53, 2306 Overton Rod., Augusta, charged with DUI of alcohol. Nichols Page Shreve, 21, 1116 St. Mathews Church Rd., Metter, charged with affray. Justin Travis Roberts, 18, 67 Kevins Ln. NE, Hinesville, charged with disorderly conduct. Oct 11 – Robert Anthony Boyd, 47, 58 Turkey Lane, Glennville, charged with speeding. Oct 12 – Jo Angela Cisneros, 54, 925 Rosco Smith Rd., Claxton, charged with driving without a license. Tchalla Smith, 41, 7780 Conners Rd., Winston, GA., charged with suspended/revoked license. Hudson Cole Waters, 23, 140 Skid Rich Rd., Collins, charged with disorderly conduct and simple battery (Fight). Nathan Ryan Smith, 24, 13133 Sunbury Rd., Claxton, charged with DUI of drugs, possession of drug related objects, possession of marijuana, and marijuana-possession of a controlled substance. Roland Lane, 25, 117 Broad St., Claxton, charged with probation violation. Larone Williams 25, 154 Rabun Ave., Reidsville, being held for court. Jachondran Williams, 26, 411 Savory Rd, Claxton, charged with disorderly conduct, possession of marijuana, suspended, canceled or revoked registration, and no insurance. A caller on hwy 129 N reported that someone stole her food stamp card out of her mailbox. A caller reported that she was beaten by her husband and his mom. Complainant stated that the subjects took her keys, vehicle and cell phone. A resident of Bill Hodges Rd reported that someone was under his house. A resident of Red Clay Road reported that someone had stolen some items from his property. A resident of Old Metter Why Ext reported a missing .38 pistol and a .357 pistol. A caller in Lovette Trailer park reported that dogs came into his yard and attacked his son’s dogs. A resident of LJ Road reported that her om is threatening to come to her residence and beat her up. A resident of Magnolia St. reported some missing fishing reels from their home. A resident of Wall Dyess Rd reported that a three-piece ladder stand was missing. A caller reported two trucks riding around Belville throwing fireworks out of the vehicles. Dijion Tishawn Bradley, 23, 312 Hencart Rd. Glennville, charged without license on person and obstruction of officers. Andre Roberts, 44, 408 Rosemary St. Claxton, charged with child support violation. Byron Edenfield, 24, 18 S. Railroad St. Hagan, charged with Parole Violation. Joshua B. Deal, 25, 98 Perkins Mill Rd., Claxton, charged with deposit account fraud. Jeremi Dylan Bath, 25, 289 Sugar Baby Farm Rd., Claxton, charged with DUI – refusal, and failure to maintain lane. Lukeysha Shunta Chavers, 28, 1509 Pleasant Hill Rd., Portal, charged with possession of marijuana and open container violation. Roland Lane, 25, 117 Broad St., Claxton, charged with fleeing or attempting to elude. Brianna Nyesha Byrd, 17, 611 Park Ave., Claxton, charged with obstruction of officers. Gregory D’vote Byrd, 23, 1596 Fairway Oak Dr., Lawrence, GA., charged with driving too fast for conditions, driving without a license, DUI of alcohol, reckless driving and a stop sign violation. Juan Osorio, 37, 118 Bird Rd., Statesboro, charged with suspended/revoked license and seat belt violation (Under 18). Noe Elizondo, 1807 W. Miles, 14 N., Eslaco, TX., charged with theft by taking. 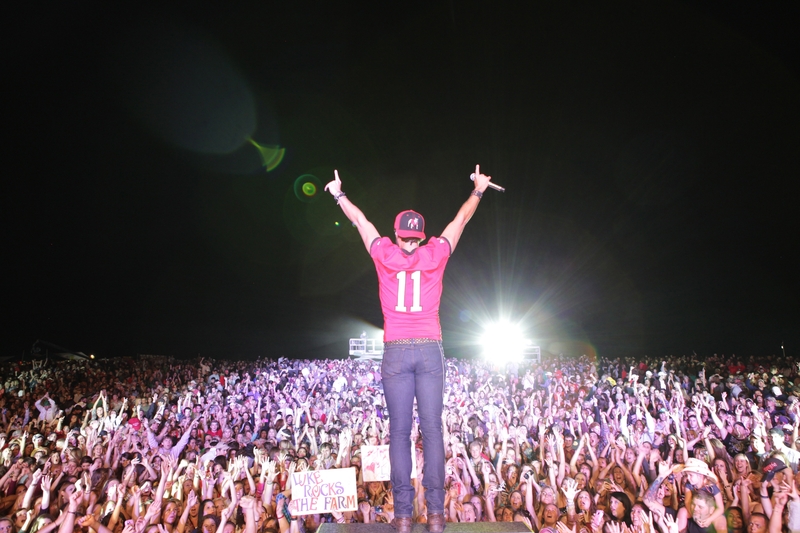 Luke Bryan Coming – Stay tuned for information related to traffic and other details concerning the safety of the upcoming concert. 2 PM Parking Opens – Must have a ticket to enter parking $5 in advance for parking and $10 at the door. Police, who depend so heavily upon timely information and communication, often leave the potential benefits of new technologies underutilized. This is especially true for rural law enforcement agencies in which training is often conducted only when mandated, where no systematic effort to collect and utilize intelligence in real time exists, and formal intelligence analyst positions are rare or nonexistent. Furthermore, most of the existing knowledge on policing, including that of intelligence-led policing, has been based on the largest metropolitan departments in the country, which is problematic considering that small, local law enforcement agencies account for the largest category of police agency in the United States. In addition, little is known about implementation issues and outcome successes and failures when smaller municipalities are added as partners to an already existing intelligence-led policing operation run by a rural sheriff’s office. Improve Cross Agency Communication: The site has used several tactics to increase information at hand for timely decision-making, including an intelligence analyst, E-Roll Call (a narrative of all calls from each department for the previous night), and other electronic alerts/news – Patrol Alerts (corroborated criminal intelligence within the jurisdictions) BOLOs for wanted persons with active arrest warrants, Open Case Alert for open investigations, and Open Source Bulletins for public and private sector partners. The site is pushing intelligence information through agency-provided Blackberry devices and a join records management system (RMS), allowing for timely sharing of information, access to information when needed, and officers starting their shift with all information from previous nights or days. Assessment of Effectiveness of Implemented Technology: The research partner is performing several tasks to develop a comprehensive assessment of the effectiveness of the implemented technology. Develop a Model for Local/Rural Law Enforcement Agencies Nationwide: The new strategies being used will serve as a model to change the culture of local/rural law enforcement from a random, reactive culture to a proactive, intelligence-led policing culture. Each strategy and tactic that is utilized will be documented in a procedure and/or protocol and grounded in a model policy for replication. The introduction of an Intelligence Led Policing strategy changed our world. The Evans County Sheriff’s Office staffs a fulltime Intelligence Analyst that is responsible for proactive information analysis and sharing. Our analyst strays from the traditional investigative resource type of work to a proactive scanning to seek and identify threats from criminal elements and/or public safety and order maintenance issues afoot. Once these threats are identified the analyst collaborates with the investigator, chief deputy and sheriff to develop tactical (short term) and strategic (long term) solutions to mitigate and/or eliminate the threat. The sheriff’s office will then use a network of collaborations of various criminal justice stakeholders, to include probation and parole. In addition, an outreach to nontraditional sources of information, in combination with information from social networks and other internet sources are gathered and analyzed. All information is integrated into our proactive and real time operations for communications outreach to all patrol and investigative resources throughout our county and neighboring counties. Our system requires 28 CFR 23 training for all officers and structured information sharing policies and procedures. Dr. David Carter’s Intelligence Program at Michigan State University provided our foundation to evolve. As a result of our collaboration, the Evans County Sheriff’s Office, Claxton Police Department, Hagan Police Department, and Tri-Circuit Drug Task Force officers “ALL” know what has occurred before their shifts begin and have the benefit of “situational awareness” on all patrols. Issues are highlighted and pieces of puzzles are being put together to identify, prevent, disrupt, and solve crime. Neighboring local, state, and federal officers have a “one stop shop” for comprehensive information gathering. Our intelligence analyst serves all our local agencies and produces a number of intelligence products for all officers. First, is E-Roll Call. The analyst compiles the list of all calls; with a short narrative from each department the night before then emails the document to all officers. Second, are patrol alerts, where the analyst compiles a document as to any corroborated criminal intelligence within the jurisdictions and emails the document to all officers, thus making routine patrol more meaningful and purposeful. Third, are open case alerts where information from detectives and investigators is shared with patrol regarding open investigations. Fourth, BOLO’s. These are wanted persons that have pending warrants. Fifth, open source bulletins are sent to all public and private sector partners to provide and/or solicit information to prevent and disrupt crime. Finally, an “All Hazards” report is issued to all officers when inclement weather, dangerous incidents, or any potential public safety issue is afoot. The Evans County Sheriff’s Office has its own “Web Based” Criminal Information data base (The Consolidated Criminal Information Depository). The system links all members of the criminal justice community together, from parole and probation to juvenile justice. Moreover, the secure system serves as an outreach to school counselors to recreation directors to capture information in a proactive fashion with the goal to prevent crime before it can ever occur. Strategic and tactical decisions made by commanders and supervisors are information and intelligence based instead of random or rooted in experience only. Agencies work in support of each other versus a fragmented self centered approach. Further, officers can “connect the dots” and see critical issues “before” they evolve into huge problems. This “culture” of cooperation and communication can only occur once commanders “buy-in” based upon the common interest and mutual benefits realized. This can only be accomplished by open communications and working together with structured planning and preparation, ensuring all stakeholders are included and cared for during the process. 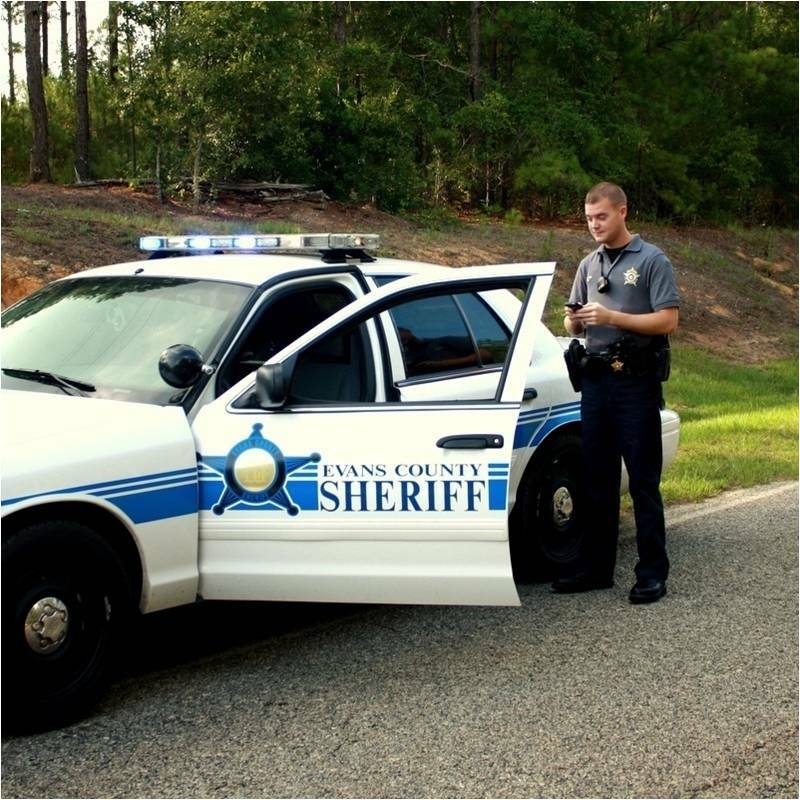 Small town and rural law enforcement is defined by the U.S. Census Bureau as a jurisdiction with a population smaller than 50,000. Ninety percent of all local law enforcement in the U.S. has fewer than 50 sworn officers in their employment. Fifty seven percent of all local police agencies in the U.S. have fewer than 10 sworn officers in their employment. With 12 sworn officers we fit into this large group where the change that has so greatly benefited us may be of utility to others. Local law enforcement is the first line defense for homeland security. The creation of a law enforcement culture where every agency talks communicates and cooperates with all local, state and federal agencies creates an environment for proactive security and protection. Moreover, state and regional fusions centers would become much more effective with the efficacy of the coordinated efforts by local, state and federal collaboration to create real time systems to feed information into the fusion center process. Poor economic conditions starve resources, but feed crime. The 21st century will be very expensive as the ineffective and inefficient crime funnel becomes more complex and costly. Whenever the police have an opportunity to prevent or disrupt criminal activity potential victims are protected, funds for property insurance, healthcare, inmate incarceration, prosecution, public defender/judicial process are saved. We focus on every attempt to prevent an arrest from ever occurring, from our crisis intervention training in dealing with the mentally ill to our proactive efforts to manipulate certain times, locations, offenders, and victims from ever being together for a crime to happen in the first place. We view operations from a systems wide and global stand point taking advantage of all resources available and increasing partnerships toward that end. We work with our academic partners at Georgia Southern University to become more “evidence based” and “science driven” by research of data and analysis of information every day. We utilize technology, information, cooperation, coordination, and communication to forge improved operations through informed decision making. We work to create relationships to gather the trust of citizens that will result in the gathering of information to fuel the Intelligence Cycle. We realized we had to become more educated, trained, and professional to meet the challenges of the “gathering storms” ahead. We have documented policies and procedures that we will share upon request. Moreover, when the “culture” of law enforcement becomes more professional and efficient, this effectiveness and efficiency translate to greater public safety in a world where terrorism is a “real threat” both domestic and foreign. Our citizens expect and government is responsible to insure the absolute best efforts at protecting our citizens. We believe Intelligence Led Policing is the way to secure our future. Chronicling the successes and roadblocks of implementing technology in rural law enforcement agencies; Analyzing whether the technology improved communication within and among the three agencies leading to increased readiness; and Comparing the communication and effectiveness of these three agencies with comparison agencies in the area. The Evans County Sheriff’s Office wanted to use “Smart Phone” i.e. I-phone or Droid technologies (The latest and greatest) to connect all Deputies and City Police Officers together for e-mail communications from a structured LISTSERV that an E-Roll Call could be sent to each officer daily. Further, Evans County wanted to send intelligence products through the LISTSERV to reach each officer “real time”. The “smart phone” technology would enhance communications, provide access to the internet, promote safety with GPS tracking and possess applications for interpreting Spanish, seeing Doppler weather radar real time and being of meaningful utility to the deputy/officer. The “smart phone” was a phone, GPS tracker and finder, internet portal and the functional equivalent of a portable “on person” lap top computer. This technology would be the “cornerstone” to the intelligence led policing program by providing the means to export information to each and every officer in seconds. We really wanted to use the I-phone or Droid technology. 1. What do you wish to accomplish? 2. How do you envision incorporating the new technology into operations? 3. Have you consulted with the individuals that the technology will affect? a) How they will use and apply the technology to their duties? b) Will the technology have efficacy? c) Was the potential for unintended consequences discussed and probabilities identified? 4. Have interoperability and sustainability issues been identified and discussed? The Sheriff’s office and Police departments have had “southern linc” cell phones/push to talk radio as a device that they all carry on their person at all times. A culture has developed over the last 10 years among the deputies, city officers, fire, EMS and public works where they all depend heavily upon the purpose and function of this device in their duties. 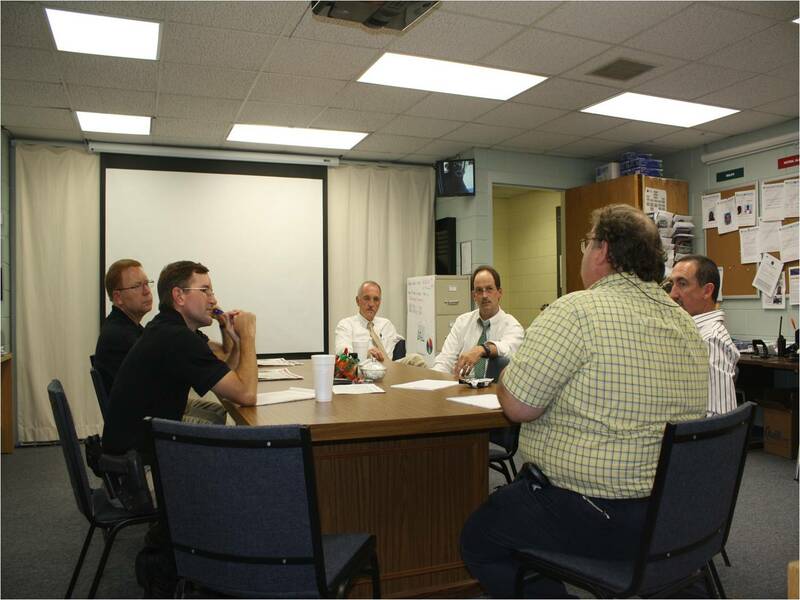 The push to talk informal radio function is of great utility to all of these officers. Southern linc is a regional provider for these communications. The I-phone does not have a push to talk radio feature and Droid’s only push to talk application was a Motorola product that had a poor application for opening intelligence products, zooming in and reading font size. We acquired and tested three of the Droids devices with the push to talk feature and all three officers were not satisfied with the device. The operation features in combination with the push to talk was problematic for those officers that tested the device. The only narrowly tailored requirement for any device was push to talk because of the inherit culture of the officers that depends upon that requirement. If the droids or I-phones we wanted were issued deputies and officers would retain their “southern linc” services and carry that device as a main device, thus leaving the droid or I-phone in the vehicle. The effectiveness of the program depends upon the deputies/officers keeping the device on their person; such illustrates the importance of having one device that has the push to talk as a first priority then the other requirements such as internet, cell and GPS tracking. As a result we purchased the Motorola 8350 I blackberry curve “Smart phone” with push to talk, internet, cell and GPS tracking. The applications for interpreting and other uses were sacrificed due to the functional and cultural requirements the blackberry could accommodate. The model “smart phone” we wanted with the latest technologies did not meet the expectations we knew we had to provide in the context of the officers work paradigm. We were able to acquire the blackberries at no charge based upon the vendor’s service agreement. Once new technology and another product meets our needs we can upgrade into the Droid or I-phone with the additional applications we want. Our Georgia Southern University researchers are observing, monitoring and assessing our progression to capture information and document process. “Like policy, technology issues should be planned from the bottom up instead of the top down” Question 3c (above) became very important in the decision making process. Sheriff Edwards provides a program overview.